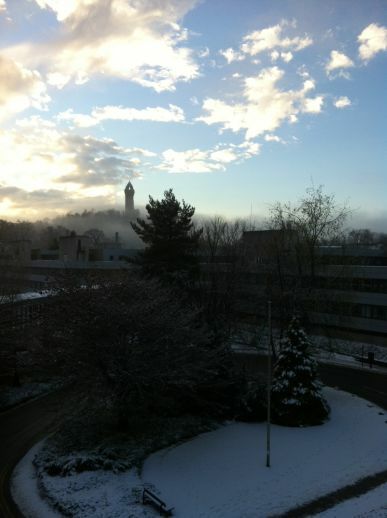 Here are a couple of shots of the campus from the Library building this morning. Where are all the sledges? 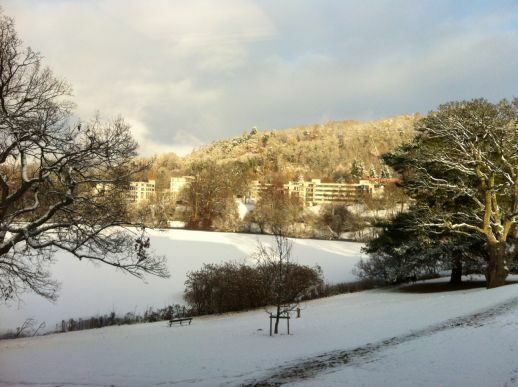 First one is the view from Level 4 overlooking Queen’s Court and the second one is taken from Level 2 Library overlooking the Loch.